making it harder for us to get back out. Just small changes in our thoughts can make a huge difference in our attitudes and our outlook on life. Life is a beautiful thing and we should always see it as that. 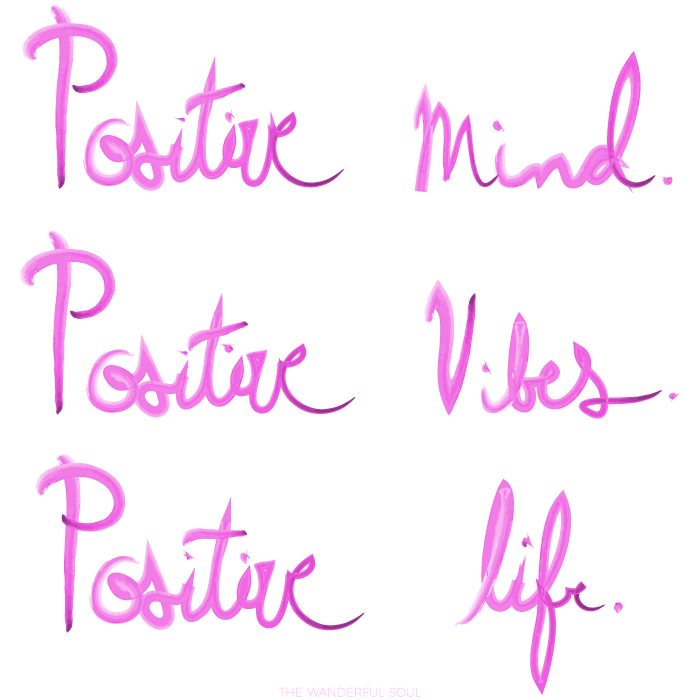 Our lives should be filled with positivity and love. Removing negativity from ourselves emotionally and spiritually can remind us of that, and show us how positively beautiful life can be. Whatever is going on in your life at the moment that is bringing you down, just remember it is temporary. You will get through this and overcome it. Although this negativity may feel like it will last forever, it will not. You are strong. Get a journal to write in daily, or when you are feeling that negativity creep in. Write down what is going on your life and why you think you’re feeling this way. I can’t tell you how much this helps to go into yourself for some introspection and actually figure out what is going on. It will bring you to a realization and you will see how to change it. Having a daily affirmation that you can recite when you’re feeling down helps immensely. It can be anything that helps you remain in the positive. A mantra, a quote, or even just a sentence that re-invokes you with confidence. I like to make a list of things that I am worried about, and turn them into positives. Then, for my last sentence, I will end it with a positive note on myself. After, I take a deep breath and recite the list until I feel the confidence grow inside of me. And, I repeat it until I believe it to be the truth. Know that all things are possible if you remain positive. I know it is easier said than done, but if you are feeling that a person or place is dragging you down, it’s time to leave. No matter how much you try to remain positive, it will always be a struggle unless you surround yourself with like-minded people and environments. You will know if you are not being treated right, and you always deserve the best. Do not keep holding on to someone / something if they are affecting your mental health. There is no reason to succumb yourself to such negativity. Live your life in happiness, and love it. 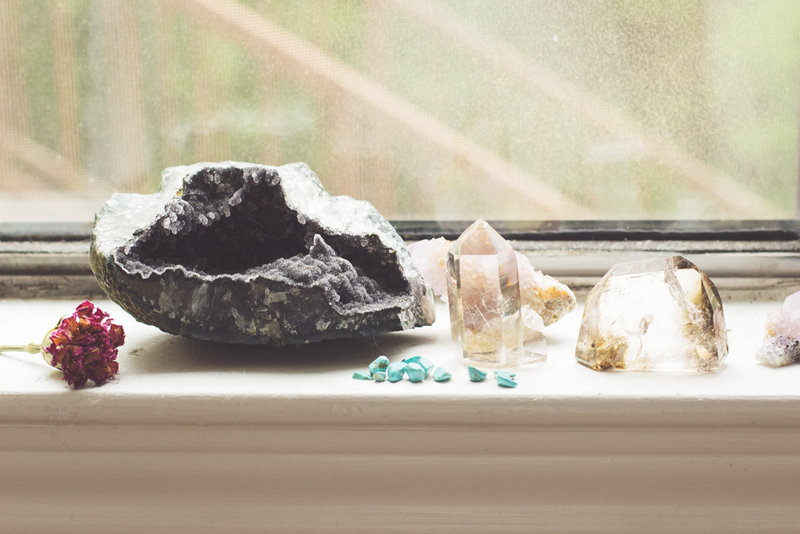 Your environment has a big impact on your mood, and cleansing the air may help let the positivity flow back in. Your home is your sanctuary, so you want it to be a positivtely beautiful space, not a place that you want to get away from. Burning White Sage or Palo Santo Wood throughout your home is a ritual called smudging many cultures have used, since ancient times, to dispel negativity. To smudge your home, simply light your sage bundle or wood, blow the flame out, and direct the smoke around your home while visualizing the negativity and darkness being taken away. Sometimes cleansing your home isn’t quite enough, and you need to be cleansed as well. There are many ways to remove the negativity from yourself, and they all start with visualization. 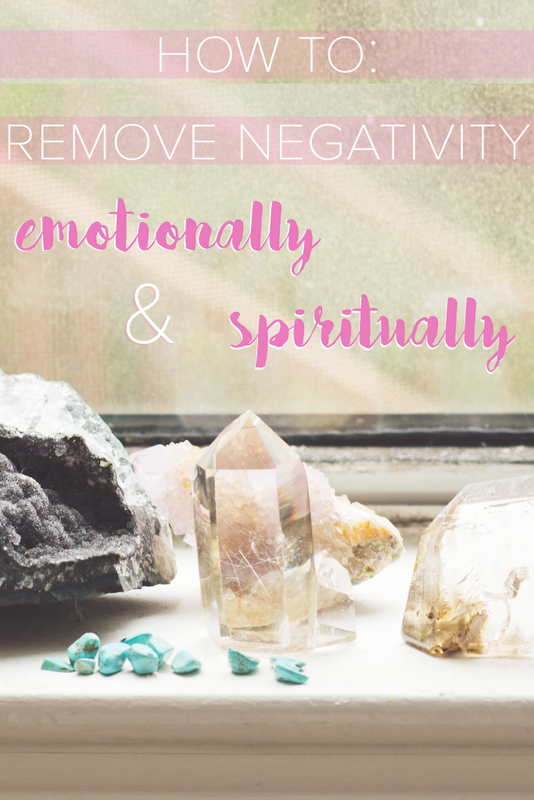 Just like cleansing your home, you can also use the smoke of White Sage or Palo Santo to remove negativity from yourself. Another way to remove negativity, is through water. When you take a shower, close your eyes and imagine the negative energies and darkness litterally being washed away from you. Standing in the rain or a waterfall are also beautifully natural ways to let the water flow around you. Selenite is a wonderful stone that is connected to the angelic realm, and helps remove stagnant energy. You can use a Selenite wand to move around your body to unblock energy, and remove negativity. In doing so, it also instills a deep peace. Amethyst – one oldest protection amulet, for overall protection. Turquoise – another one of the oldest protection amulets. Smoky Quartz – transmutes negative energies. Black Tourmaline – pushes all negativity away. Don’t let negativity hold you down or keep you from living the life of your dreams. You can get past this hump, even though it may seem impossible at first. Remember that you always have family and friends to help guide and support you as well. Have you recently overcome negativity in your life? How did you conquer it? I have done a lot of these methods and they really do help. It's amazing what you can do if your brain is sync with your thoughts. That's great to hear. And definitely, having a positive mind can open up so many possibilities.